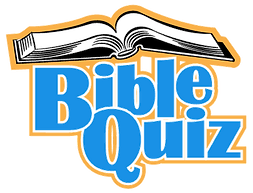 The Awana Bible Quiz is an opportunity to show how well clubbers have been learning God's Word. Quizzing is full of fun and exciting challenges as clubbers compete in a multiple choice quiz and a group speed quiz. Clubbers should have half of the handbook completed. If you have questions or are interested in quizzing, contact Commander Jim Schwab at 305-6281 or awana@cbcks.org. For those that will be interested in participating this year, we have study guides available for the new handbooks. More than just a re-telling of the nativity, the Silence and the Sound Christmas Cantata explores both the mystery and majesty of Christ's birth. Filled with original sacred songs and beloved carols, this cantata is not only a beautiful concert moment, but it is a true worship experience. Come experience it with us as we celebrate Jesus Christ! Check out some pics from the trip on Facebook. Registration form and payment due December 11. High School students (9-12th grade), plan to go to Iowa Regular Baptist Camp Jan. 13-15, 2017 for Teen Meltdown! The cost is $60.00. Registration forms are available by the church office. Registration forms and payments are due December 11. Please turn in registration forms to Pastor Bowman. If you have any questions contact Pastor Bowman. 6-12th Graders! Dec. 10, save the date to come volunteer with Derby Operation Holiday! It will be a great time serving our community! We will start and end at the church but will be serving at The Power House in Derby. Sign up by Sunday, December 4. 'Tis the season to remember the birth of our Savior, Jesus Christ. We celebrate the Master's plan to save us from our wretchedness through His righteousness. Jesus' birth in that dirty stable was the beginning of His earthly ministry that would culminate in a horrifying death on a cross and stunning resurrection. Jesus coming back to life from the grave. He beat death. He beat sin. He beat Satan. And He offers salvation to us as a free gift. A gift that we don't deserve. A gift of freedom from the power of sin. A gift of life everlasting with God. And that is why we celebrate Christmas. We hope you will join us for our Christmas events. They are focused on spending time together, bringing joy to the community, and sharing the story of Christmas through songs and stories. An evening of worship through song. Hear and sing songs that remind us of different aspects of the Christmas story. Beginning at 6, we'll eat soup together. Feel free to join us anytime from 6 - 6:45. At 6:45, we're loading up the bus and vans to go caroling. We're headed to the Derby Marketplace, nursing homes, and shut-ins to spread Christmas joy. At 8, we'll head back to the church for hot chocolate and dessert. This is a wonderful time together and a merry way to start off the Christmas season. Kids and adults of all ages are welcome. Please bring soup or chili along with a dessert or "fixin's" (cheese, crackers, sour cream, etc.) enough to feed your family plus a few extras. Drinks and dinnerware will be provided. The Calvary Baptist Church Adult Choir presents The Silence and the Sound. This cantata explores the mystery and the majesty of Christ's birth. A service of worship and adoration for our Lord and Savior, Jesus Christ. No Sunday School, no Evening Service. Enjoy time with your family. Merry Christmas! Give thanks and praise the Lord with us at our annual Thanksgiving Service. Join us for fellowship and pie following the 6:00 evening service of praise and thanksgiving. Bring enough pie for your family plus an extra pie to be donated to the Union Rescue Mission. Pie tins can be picked up by the office. The competition is on! The Awana Kids and Staff vs. the CBC Adults in the Thanksgiving Food Drive Challenge. The kick off to this event is the Fall Harvest Festival! Then, for the first three weeks in November we’re going to see who can donate the most non-perishable food and personal hygiene items. Each team has a goal of 1,000 items! Drop off items at your teams food drive collection areas in the foyer. On Wednesdays, Awana Kids and Staff can place items in their Awana club's shopping cart at the beginning of the evening. Help those who are in need by donating to the Thanksgiving Food Drive where all the donations go to the Derby Community Food Pantry. Please check the food labels. Make sure it's not expired! Youth (6th-12th grade) get your work gloves on and come ready to serve others by raking leaves! Meet at the church at 9:00 a.m. We’ll be back to the church by 2:30 p.m.
To be part of this activity sign up on the bulletin board by the church office by Wednesday, November 9. Sign up today to volunteer at the Fall Harvest Festival. The Fall Harvest Festival is an annual family event where the entire community is invited to come have fun with us in a safe, kid-centered environment. You can volunteer in several different roles. Everyone can help by bringing some candy to contribute to the event. We hand out candy at every game booth, so we need a lot. Look for the candy barrel in the foyer. We can't wait to serve alongside you at this important outreach event. See you there! Check out the Fall Harvest Festival main page. We're having the evening service will be held on the front lawn beginning at 6:00 pm followed by a picnic supper and a time of church family fellowship. Bring lawn chairs or blankets to sit on and a picnic supper for your family. In case of rain, the service and meal will take place in the gym.